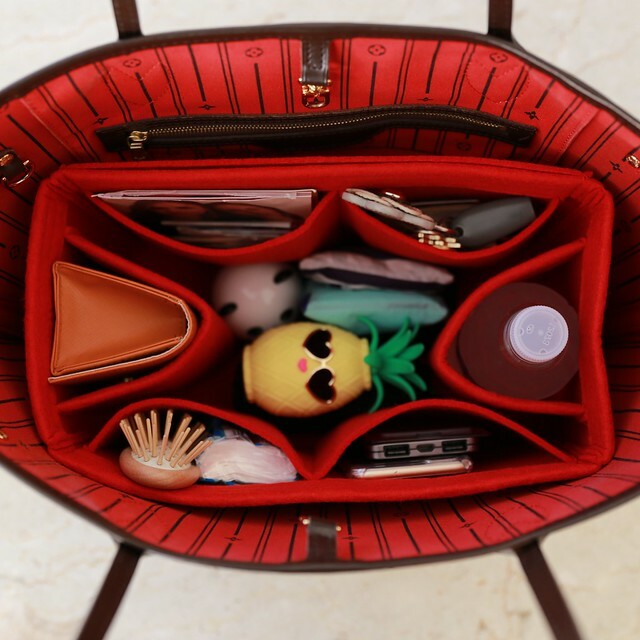 I wanted a purse organizer for a while now and I finally ordered a this felt purse organizer from OriginalClub. I am very pleased with my purchase since the felt is very lightweight and it’s well made. 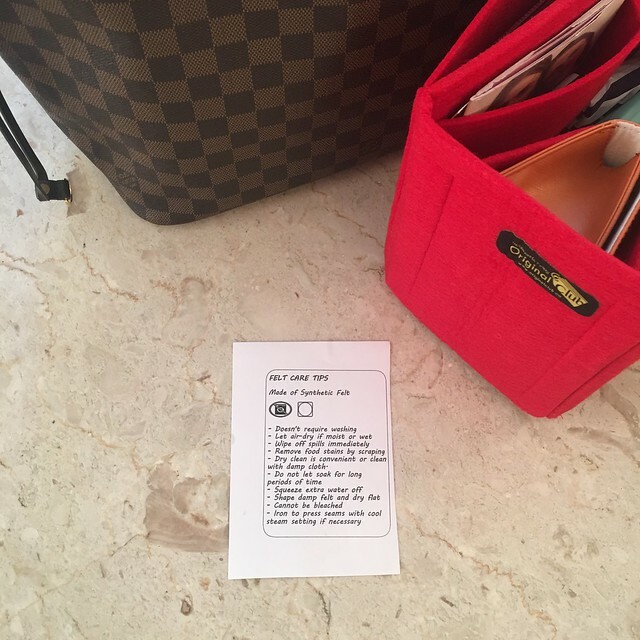 I no longer have to fish around for items that are swimming around the bottom of my bag since the pockets help to keep me organized. 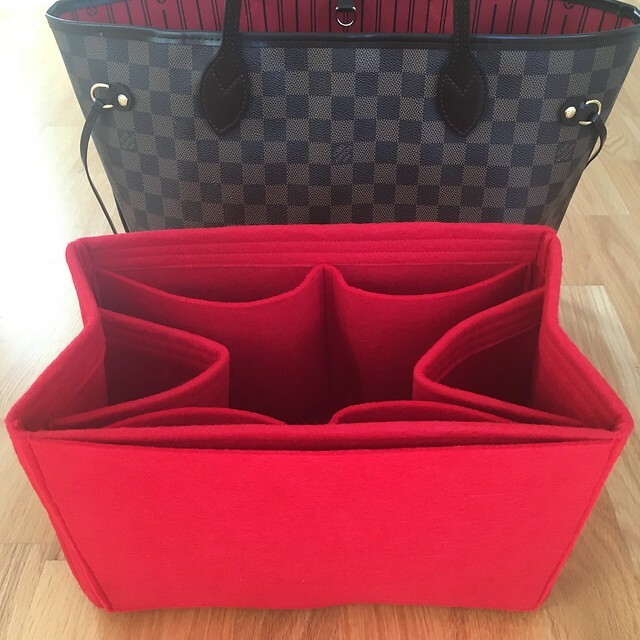 I chose red to match the inside of my Louis Vuitton Neverfull MM and as an added bonus this size also fits perfectly inside my Longchamp Le Pliage expandable tote (as seen here and here). The shop owner provided a separate link for payment outside of Etsy on their website as well as a 20% off discount on my first order. My total cost was $39.11 after the discount which includes $5.99 for shipping and a foreign transaction fee of $1.13. Note that the shop owner is based in Turkey but I received my order in about two weeks. I placed my order on July 20th and it was processed and shipped via DHL on July 29th. I received my package safely on August 3rd. I double checked the measurements and they are very close to the ones they provide within their listing. Update 9/28/18: My Original Club organizer shows signs of wear (pilling) since I wrote this review back in 2016. Refer to these tips to remove fuzzies here. 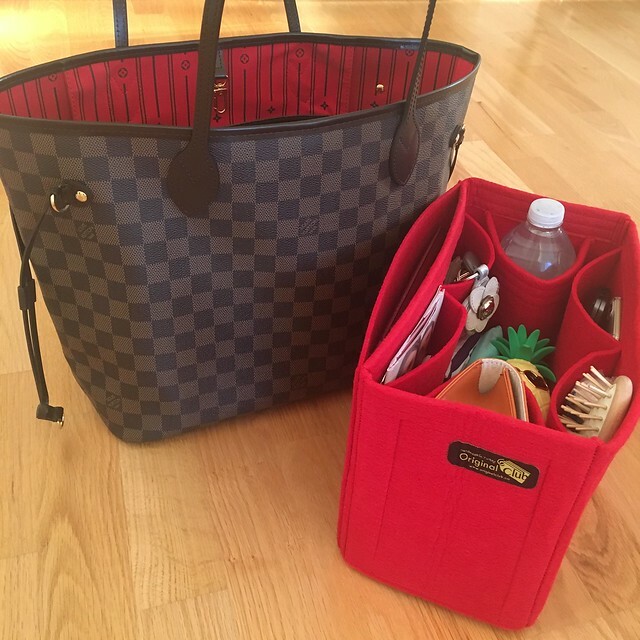 I also recently purchased this Vercord bag organizer that includes a zipper in the medium size and I love the compartments in this new organizer and it has a zip top closure to keep your things more secure. Please check out my review on IG TV here over @whatjesswore on Instagram.